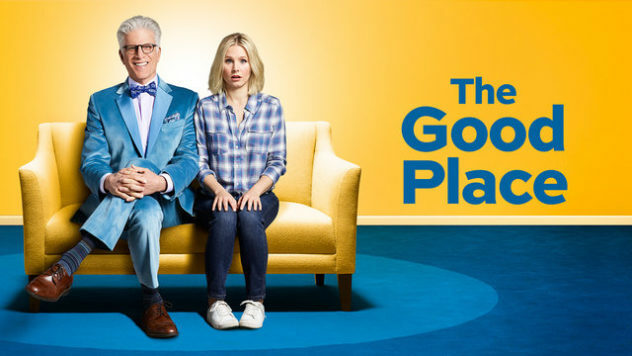 Hello Frequent Flyers and welcome aboard our 80th Flight, The Good Place. We are all taken to wondering at times, what happens beyond the fine veil of death. To whence does the soul venture if a soul must venture at all? What if I were to tell you – and you must keep this hush as one does not peer beyond the veil easily, you know….but what if I were to say: Suburbia. Froyo on every corner. Golden daylight and clear skies. and Suburbia. You may think this is The Bad Place, but trust me. That’s just non-stop screaming. And what happens if you should get sent to the wrong one? If you should belong in the Bad Place after all? Is it too late to change your ways?